Eye On The World: UK: Is the so called victim of Islamophobia, a closet Nazis? 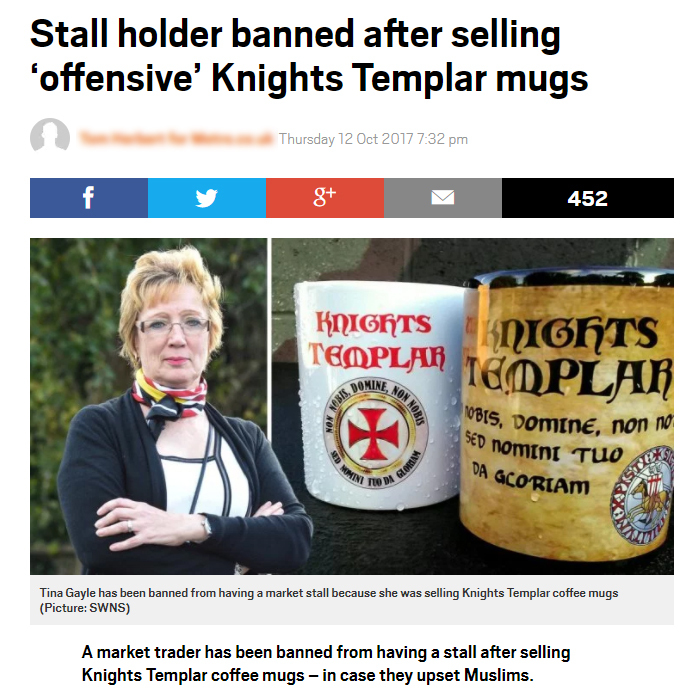 UK: Is the so called victim of Islamophobia, a closet Nazis? 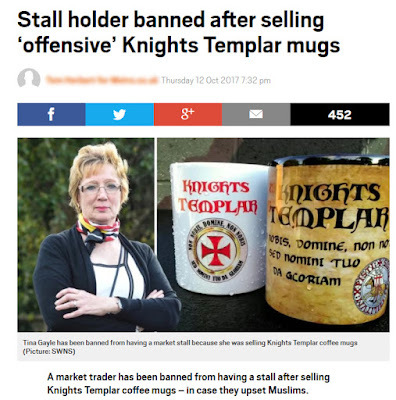 (Loughborough) Tina Gayle a British market stall trader hit the headlines this week after she complained to the media that she had been banned from selling Knights Templar mugs at a weekly market in case it offended Muslims. The media took up her case and the huge public backlash has forced the council to apologise to Mrs Gayle and retract their ban. I was going to mention this story, when it aired but something didn’t seem right especially when it was revealed that she had been previously warned for selling Nazis paraphernalia. It appears that Tina Gayle whilst protesting that she has nothing against Muslims cannot say the same about Jews.